You agree that no joint venture, partnership, employment, or agency relationship exists between TheRichSolution.com and you as a result of this Agreement or your use of the Site. Except as expressly provided herein, nothing contained herein shall be construed as conferring by implication, estoppel or otherwise any license or right under any patent, trademark, copyright or other proprietary or industrial right of TheRichSolution.com. If you respond to TheRichSolution.com with any information, including but not limited to feedback, data, questions, comments, suggestions, or the like, such information shall NOT be deemed confidential. All such submissions shall be deemed the property of TheRichSolution.com, and your submission of information shall constitute an assignment to TheRichSolution.com of all worldwide rights, titles and interests in such information. TheRichSolution.com will not be liable for any use or disclosure of such information. TheRichSolution.com will not have any obligation to keep such information confidential and will be free to reproduce, use, disclose and distribute the information to others without limitation. TheRichSolution.com will be free to use any ideas, concepts, know-how or techniques contained in such information for any purpose whatsoever, including but not limited to developing, manufacturing and marketing products which incorporate or otherwise rely upon such information. The information on this Site does not constitute a binding offer to sell products described on the Site. TheRichSolution.com reserves the right at any time after receipt of your order to accept or decline your order, or any portion thereof, in our sole discretion, even after your receipt of an order confirmation or after your credit card has been charged. Products displayed may be out-of-stock or discontinued, and prices are subject to change. Subject to the foregoing, the prices displayed are quoted in U.S. dollars and are effective only for United States purchases. 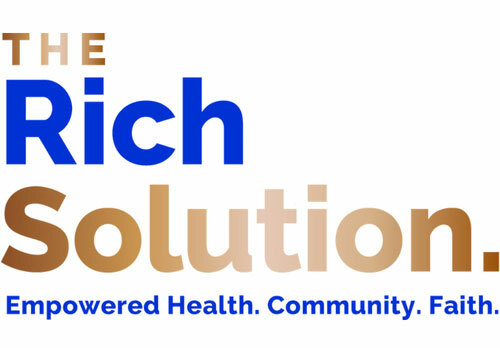 Although TheRichSolution.com has made every effort to display the products and their colors as accurately as possible, the DISPLAYED colors of the products will depend upon the monitor of the user and TheRichSolution.com cannot guarantee that the user’s monitor will accurately portray the ACTUAL colors of the products. Purchases are subject to applicable taxes to be paid by the purchaser, and do not include shipping and handling. 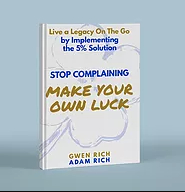 While TheRichSolution.com attempts to provide accurate and timely information, there may be inadvertent technical or factual inaccuracies and typographical errors. TheRichSolution.com reserves the right to make corrections and changes to the Site at any time without notice. TheRichSolution.com does not claim that the information on the Site is appropriate to your jurisdiction or that the products described on the Site will be available for purchase in all jurisdictions. TheRichSolution.com shall not be liable for its failure to update such information. It is your responsibility to verify any information contained on the Sites before relying upon it. TheRichSolution.com makes no warranties of any kind regarding any non-TheRichSolution.com websites to which you may be directed or hyperlinked from the Site. Hyperlinks are included solely for your convenience, and TheRichSolution.com makes no representations or warranties with regard to the accuracy, availability, suitability or safety of information provided in such non-TheRichSolution.com sites. IN NO EVENT SHALL THERICHSOLUTION.COM, ITS AFFILIATES OR ANY OF ITS RESPECTIVE DIRECTORS, OFFICERS, EMPLOYEES, AGENTS, OR CONTENT OR SERVICE PROVIDERS BE LIABLE FOR ANY DIRECT, SPECIAL, INDIRECT, INCIDENTAL, CONSEQUENTIAL, EXEMPLARY OR PUNITIVE DAMAGES, LOSSES OR ANY OTHER DAMAGES OF WHATEVER KIND RESULTING FROM WHATEVER CAUSE, INCLUDING, BUT NOT LIMITED TO, LOSS OF USE, LOSS OF PROFITS, LOSS OF DATA, OR ANY OTHER TYPE OF DAMAGE, TANGIBLE OR INTANGIBLE IN NATURE, WHETHER IN AN ACTION UNDER THEORIES OF CONTRACT, TORT OR OTHERWISE, ARISING OUT OF OR IN ANY WAY RELATING TO THE USE OR PERFORMANCE OF THE INFORMATION ON, OR ACCESSED THROUGH, THE SITE. TheRichSolution.com reserves the right to refuse to send or transmit gift cards, including e-gift cards that contain vulgar, obscene, abusive, profane or otherwise offensive language. IN NO EVENT SHALL THERICHSOLUTION.COM BE LIABLE FOR ANY DIRECT, SPECIAL, INDIRECT OR CONSEQUENTIAL DAMAGES, OR ANY OTHER DAMAGE OF WHATEVER KIND RESULTING FROM WHATEVER CAUSE, INCLUDING, WITHOUT LIMITATION, LOSS OR DAMAGE TO PROPERTY AND INJURY OR DEATH TO PERSONS, ARISING OUT OF OR IN ANY WAY RELATING TO THE USE OR PERFORMANCE OF THE INFORMATION ON, OR ACCESSED THROUGH, THE SITE.